Top Beach Destination: Brazil is full of beaches and it’s hard to define if one more beautiful than another and it’s even harder to name a favourite beach destination. Out of all the beaches that I have visited each of them have their particular beauty. However when it comes to a beach destination, it’s not only to the beach itself that matters. There are few other facts that I personally enjoy when choosing a beach destination. I know some might like popular beaches where the rich and the beautiful locals hang around during their spare time, however I like raither distant destinations with less touristic infrastucture and a touch of the good old days when all the natural resources wasn’t yet explored. I like the destination that disconnects me more than totally from the rush and the run of every day life and makes me feel myself at the edge of the world. Therefore my top beach destination with these characteristic is the Ilha do Algodoal, a tropical island in the northern corner of Brazil. This extremely beautiful place incentivates you to listen to the voices of the nature, to pay attention to the endless horizon and to breath like if there were no worries in the entire world. For me Ilha do Algodoal is a real paradise on the earth. Top Eco-Tourism Destination: Just like beaches, Brazil is also full of interesting eco-tourism destinations. There is everything from hiking to wildlife observation, from fishing to discovering the wonders of submarine life. There are also few unique phenomenon that can only observed here in Brazil. Pantanal happens to be world’s biggest wetland, the delta of Parnaíba on the other hand is the biggest delta of the Americas and naturally the Amazon rainforest is one in kind. However when it comes to top eco-tourism destination in Brazil, my choise is Lencois Maranhenses, a simply unique and absolutely interesting region located in the state of Maranhão. This immense area with very fragile eco-system is formed by numerous sparkling lagoons hidden in between the white sand dunes. It’s a unique phenomenon that can only be observed in this dry region thanks to rainy season and the approximity to the Amazon basis. Lencois Maranhenses is an off-road eco-tourism experience that will surely impress you! Top Historical Destination: I use to say that you haven’t seen all the faces of Brazil unless you have visited Ouro Preto. You might think that travelling all the way to Minas Gerais just to spend few days in Ouro Preto is not worth it, but I do guarantee that you will be surprised. 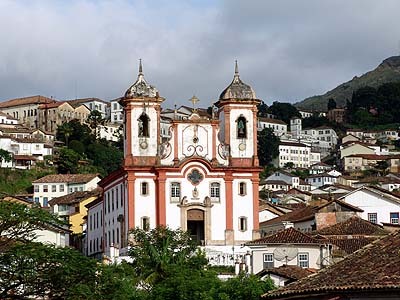 Ouro Preto is the face of colonial Brazil. It’s a destination where you will be surrounded by history and art, no matter which part of the city you are. Ouro Preto takes you to an imaginary trip back to the past and captures all your attention with neverending details of this charming city. Simply a must see destination! Top City Break: It might sounds like a cliché, but top city break must be the marvellous city of Rio de Janeiro, simply because of the variety of options it offers for a traveller. Beyond the traditional touristic sights Rio de Janeiro works as a city break for lovers of gourmet kitchen, for tireless party animal, for those who enjoy music and art and for the ones who enjoy chilling on the beach or practising sports. For me Rio de Janeiro is the top city break destination exactly because of its’ diversity and of course, also because of its’ unique beauty, which can be admired at any corner of the city. Top Beach: Choosing one breach out of all the irresistible Brazilian beaches is a real challenge. Year after year the beaches of Fernando Noronha are included into the top beaches of the country and there is no doubt that the beaches like Praia do Sancho, Praia do Leão and Baía dos Porcos aren’t some of the most stunning beaches of Brazil, simply because of the clear turquoise and blue tones of the sea and the beautiful and well conserved landscapes of Fernando de Noronha. Beside of the archipelago, there area lovely white sand beaches with clear waters in many parts of the continent as well. In the state of Alagoas a large number of palm threes give a pictoresque appareance for the coastline, while in Ceará and Maranhão the dunes give raither a stark, but beautiful contrast for the sparkling sea. So finally, out of all these beautiful beaches, which would I choose to be my top beach? My choise ia maybe a less known, but simply unique with a genuine feeling of an untouched beach. My top beach is Praia do Pesqueiro in the island of Marajó, located at the state of Pará, in northern most corner of Brazil. Praia do Pequeiro is a beach where the waters of a river get mixed to the sea. The water in fact is sweet, but the feeling is like if you were enjoying a bath at any seaside beach. Even smooth waves and a warm wind will refresh you in the heat of Pará. There are few rustic beach bars that serve ice cold drinks and light meals so that you can easily spend an entire day at this little paradise. The landscape is a beautiful mixture of tropical vegetation, natural swimming pools during the low tide and endless views over this almost deserted beach. During the low season only few other tourists together with a couple of distant water buffalos and numerous sea birds will give you company. Simply a lovely place and a fantastic beach for you to enjoy youself in the middle of the virgin nature far away from the signs of modern life and from the rush and run of the cities. Top Combination: Top combination is a region or state that allows you to experince the different faces of Brazil with no need for domestic flights or endless travelling. My top destination of this category is the regions of Salvador combined with eco-tourism experiences in Chapada Diamantina and beachside extention in the tropical islands of Tinharé and Boipeba. This simple combinations allows you to enjoy the afro-brazilian culture and colonial architecture in Salvador, the capital of Bahia, experience the inlands and practise hiking in South America’s top one hiking destination, Chapada Diamantina and last but not least enjoy the stunning beaches of Morro de São Paulo and maybe even extend your stay to the less crowded island of Boipepa, both of them filled with palm trees and most importantly with no motorized traffic to disturb you. A facinating combination that allows you to experience the best of Bahia with no need to spend and time on the airports! Top Pousada: Naming a top pousada is a pretty tough question, maybe because I’m pretty critic when it comes to perfection or maybe many of them have been at expected level, but still it’s hard to say which one would be simply outstanding. So after having tought about the options, I decided to let you know my overall top pousada, my top charm pousada and my top service pousada. The first one goes to Casarão da Amazônia, a simply lovely pousada in the island of Marajó, in Pará. Casarão da Amazônia has a perfect location in the village of Souré, close to the top beaches and interesting eco-tourism sights. It’s an old colonial mansion reformed with excellent taste and surrounded by a garden with pool area. And after all it’s not just the appearance and comfort, it’s also about the friendliness of the stuff and the great value for money that Casarão da Amazônia offers for its’ guests. 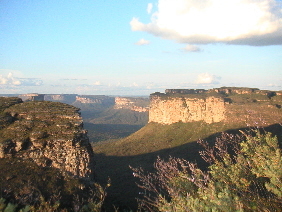 When it comes to charm I would name Vila Serrano, in the village of Lencois (Chapada Diamantina), in Bahia. This tiny pousada is a enchanting combination of colonial style, feng shui and comfort. The individually decorated rooms have and romantic ambient and even the public areas of this lovely pousada are in full harmony with the nature. Simply charming! Top service wasn’t actually difficult at all. It goes clearly to Barra Velha, a pousada located in Maragogi, the state of Alagoas. I know the northeastern Brazil is known for hospitality, tasty food and generous breakfast, but still a stay at Barra Velha went over all my expectations when it comes to the hospitality. Being welcomed by the owners and attented with an attitude that went beyond our needs and expectations was something that made the service of Barra Velha extraordinary. Really a place to feel yourself at home! Top Restaurant: When I travel I usually enjoy trying different restaurants, tasting several options and discovering new experiences. Basically this means that unless the food is simply irresistible I rarely eat more than once or maximum twice in the same place, and in that case I surely taste two different dishes. However there do have been few exceptions being one of them over the others. I usually ask for restaurant recommendations from the staff of my pousada or hotel. This is exactly what I did in Canoa Quebrada as well. I was recommended to eat in a restaurant called Cabana, located right on Broadway, the main street of Canoa Quebrada. After having experienced Cabana I found myself repeating the experice even more than tiwce. I tried several dishes and time after time ended more and more satisfield. Cabana offer absolutely tasty food with first class incredients and great value for money. Cannot recommend more! but today these are top choices in Brazil. Delta of Parnaíba has a unique ecosystem, comparable only to the Nile or the Mekong River. It’s located in the state of Piauí, close to the boader of Maranhão and consists of 85 islands covering an area of 2700 km2. The Delta of Parnaíba is a mixture of rivers, lagoons, dunes and deserted beaches. The mangrove trees are home for many different species of birds and other animals, such as crocodiles, monkeys, turtles and crabs that can all be found from the area of Delta. For a tourist , a visit to Delta of Parnaíba is not the simplest thing to do. First of all the access to this ecosystem has to be done from the city of Parnaíba, which do has an airport, but it’s only operated by small regional airlines. 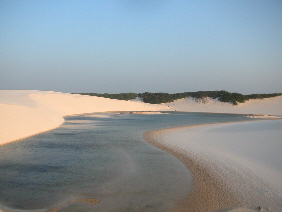 Therefore a visit to Delta often forms part of a larger itinery including either Lencois Maranhenses in Maranhão or Jericoacoara in Ceará, or both. The reach Parnaiba departing from Lencois Maranheses your first step will be reaching Caburé and then after you need to hire a 4×4 transfer to Parnaíba. The first part of this transfer takes you over the dunes until you reach a road leading to Parnaíba. In total the journey takes about 5 hours, as the road is not in the best possible conditions. If you are coming from direction of Jericoacoara, the access is done with 4×4 vehicles as well, as leaving Jericoacoara can only be done over the dunes. The total distance is about 220 km and an approximate time of journey is around 4 hours. An another option is to arrive from the direction of the state capital Teresina accessible by major airlines of the country. In this case the distance is about 335 km. If you decide to choose this option and are into active eco-tourism, including a visit to the National Park of Sete Cidades, located in the northern part of Piauí state only about 140 km from Parnaíba, might be an interesting option for you. This National Park is wellknown for particularly interesting stone formations dividing the area into seven different ambients (“Seven cities”, like the names says). However let’s get back to the main point, the Delta of Parnaíba. To get to know the delta your options are either a private or a group excursion, being the second one of course a more economic option for you. Private tours are taylor made according to your schedules, while the group excursions have a duration of a day and are organized on board of a river boat, which in fact is a quite charming way to explore the region. The journey takes you along the river all the way to deserted beaches, where you have a chance for a bath. You will climb up on the dunes to see how wide the area of Delta really is and enjoy a delicious lunch buffet on the board surrounded but the mangrove vegetation. During the excursion you will fully experience the nature of this unique ecosystem. If you are not travelling during the high season try to visit Parnaíba on weekends, just to guarantee that the inexpensive group excursions are organized while you are in the city. Flying over the Delta is also a great way to see the expansion of the rivers and the islands. This is when you really realize how amzingly large the area is. For those willing to feel the pureness of the nature with all their senses and discover the ecosystem on their own, we would recommend a visit to Ilha do Caju. This island that forms part of the Delta is in fact located in the side of Maranhão, but enjoys the best fluvial access leaving from Parnaíba (approximately 3½-4 hours). Ilha do Caju is under ecological protection and is a perfect destination for those who enjoy active eco-tourism. Due to the private ownership the access requires a reservation in the only pousada located on the island. The numerous cashew trees have given the name for this island, which until today is one of the few places where the wonders of the nature have been totally preserved. Once you have arrived to Parnaíba visited Delta, it’s not worth continuing your journey immediately. Beside of Delta, Parnaíba has other attractions to offer as well. You may make a day trip to many of the beaches on the litoral of Piauí, being some of the most interesting ones Praia da Pedra do Sal and Macapá. All of them are naturally beautiful offering rustic beach services. Pedra do Sal is characterized by stone formations and Macapá on the other hand is a meeting point for a river and the sea. 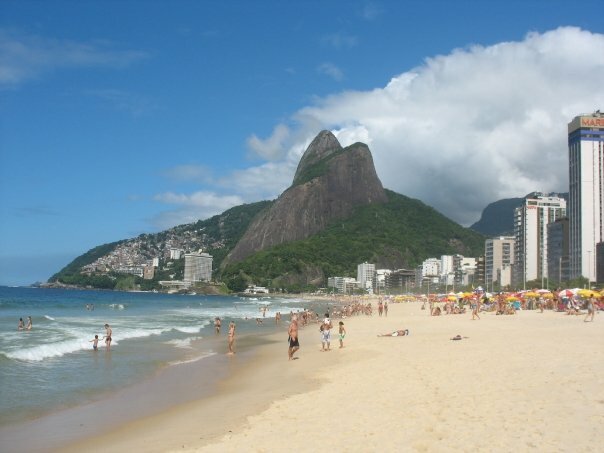 The most famous beach of the area is Luis Correia, which tends to be pretty crowded during the weekends. Try it out from Monday till Friday, and on weekends head to the more peaceful beach like Praia do Coqueiro located not so far away from Luis Correia. This beach with many palm trees offers also quality accommodation for those looking for to stay in front of the sea. Our itinerary suggestions including Delta of Parnaiba. 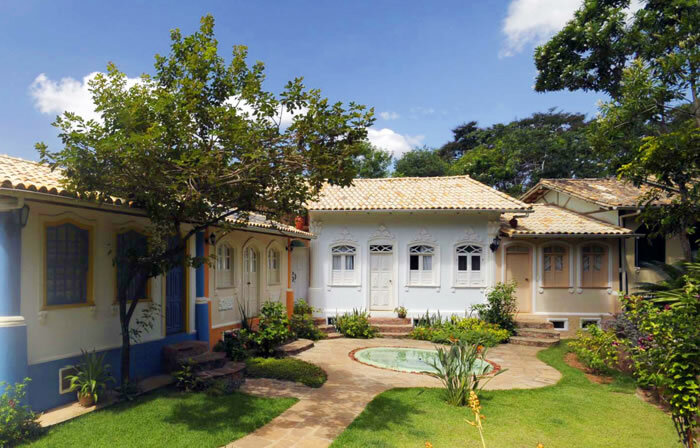 Pousada Dos Ventos, Parnaíba – Centrally located good quality pousada in Parnaíba. Excellent choice for any travelling willing to visit the Delta of Parnaíba. Pousada Ecológica, Ilha do Caju – The only pousada of the island operates respecting the ecological values and is a perfect base for your eco-tourism adventures. Please not pousada doesn’t accept under 15 years old children. Aimberê Eco-Resort, Praia do Coqueiro – A good quality choice for those willing to stay in front of the beach., just a short drive from the city of Parnaíba. São Luis, the capital of Maranhão is a gateway to the wonders of the state. Nowadays the principal attraction of Maranhão is the national park of Lencois Maranhenses, which is located only 3-4 hours drive from São Luis. However if you arrive to São Luis, it’s worth stopping here for few days before heading to another destinations of the state. The state capital, that in fact is located on an island, has cultural value, an enchanting history and turns out to be an interesting place to start exploring the attractions of the region. The main attraction of the city is the culture based on history and interesting architectural facts. Therefore we recommend you to stay overnight at the historical center of São Luis in stead of searching for accommodation from the beach side. The advantage of staying at the center is that you can explore a big part of the sights by walk, feel the spirit of the colonial era and enjoy the atmospheare of the squares with bars and restaurants at the night time. São Luis is famous for its’ buildings covered with colorful “azulejo” tiles brought from Portugal during the glory days of the colonial era. Due to the historical facades with azulejos the center of São Luis is part of the Unesco World Heritage sights as well. Some of the building are in better conditions than others, but the most important thing is that the value of these historical treasures has been recognized and hopefully during the coming years most of them will restored. Once you are in São Luis a day trip to Alcântara is a must do. Alcântara is a small historic island just a short boat or catamaran drive away from São Luis. The vessels leave from the port right in front of the historical center and transport you to the island of Alcântara in about one hour. If you are travelling from July till December, when it wind is at its’ strongers, be prepared! The sea can be pretty rough causing nausea especially in the late afternoon when returning back to São Luis. Such as in case of São Luis, the main attraction of Alcântara is the history as well. When you walk along the streets of this tiny village somehow you will get a feeling that time has stopped moving, the laidback atmospheare and the tranquility of the old days are present even today. The attractions of Alcântara are located in a raither small area so it can easily be explored by foot. Walk on the streets, enjoy the atmospheare with colonial buildings and reach the square, where the ruins of the church of Matriz, a former prison and other historical sights can be found. If possible hire a local guide, so that you will get the maximum out of your visit and learn why the esclavitud has had such a big role in the history of Alcântara. If you have extra time during your visit to Alcântara, or if you decide to stay over night on the island, an another interesting place to visit the is the nearby island of Cajual with historical fossils. Some of these fossils has also been found from Africa, proving that long time ago there was just one continent. In the middle of the historical sights, there is something surprisingly modern in Alcântara as well. A space station located on the island is not really visible for an ordinary tourist, but the museum is open for public and is an interesting place to visit if you are into space science. São Luis is located at the coastline of Atlantic Ocean, but isn’t really a beach destination. However, if you are willing to stop by at the beach during your stay in São Luis, choose Cunhau, the best beach of the city. This wide beach is located just a short drive from the center, and has a lot of infrastructure with beach bars and restaurants. The color of the water is not spectacularly blue, but the beach works for anyone who is willing to have a relaxing day while staying in São Luis. In the evenings, enjoy the squares of the historical center or dine in one of the restaurants located at the margins of Lake Jansen. For further information about the other attractions of Maranhão read our blog post about the Lencois Maranhenses and Caburé. Our suggested itineraries including São Luis. Pousada Portas da Amazonia, São Luis – Portas da Amazonia is a pousada located in an old building at the heart of the historical center. This pousada is an excellent choice for a tourist, who is more into orginal rustic style than modern decoration. Portas da Amazonia offers a comfortable accommodation with traditional touch. Now that we a done with the two initial posts dealing with Rio de Janeiro, it’s time to jump far away in the northeastern part of Brazil. We absolutely don’t want to underestimate the charm of Rio de Janeiro as a tourism destination and later on will most probably come back with new blog posts talking about the charm of this marvellous city. However now it’s time for us to lead our followers in the magical world of other less known Brazilian diversities. Sone of our favourites are Lencois Maranhenses and Caburé, both located in Maranhão, last of northestern states. Lencois Maranhenses is a large area, in fact a National Park as well, located south of the state capital São Luis. This flat area with almost 100km2 is predominated by flooded land overlaid with sand dunes. What makes Lencois Maranhenses so especial then? It’s the rare natural phenomenon occuring once in year when the heavy rainfall reaches the Amazon basin and impacts the surrounding areas, such as Lencois Maranhenses. This is when the desert kind of landscape changes and creates freshwater lagoons in between the sandy dunes. 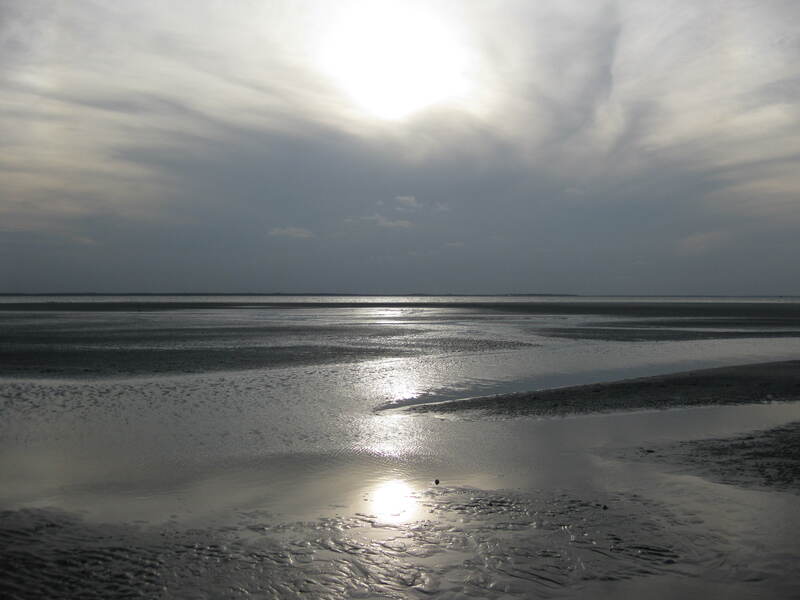 The rainfall occurs during the first months of the year meaning that the lagoons are their fullest between July and September. Barreirinhas, a tiny village approximately four hours drive from São Luis, is a the most common and well known gateway to the National Park of Lencois Maranhenses. When Lencois Maranhenses became internationally known and started to receive more and more tourist, Barreirinhas quickly gained more accommodation options, restaurants and other services needed to serve tourists. An ideal time to stay at the village would be around two nights, as apart of the main attraction Lencois Maranhenses, Barreirinhas doesn’t have that much to offer. But, do not under estimate the charm of this natural phenomena, it’s definetely worth travelling all the way from the state capital São Luis to Barreirihas just to see the sparkling blue and green lagoons located in between white sand dunes. In Barreirinhas you fill find a number of travel agencies offering to take you to the National Park of Lencois Maranhenses. You will need their services, because entrance can be reached by car only and you are not allowed to wander there on your own. The heart of the national park can be discovered on foot only, therefore the tours take you to the entrance from where you continue walking with a local guide. Please note that basically there are no services in the area of the National Park, so you better take at least a bottle of water with you. We say basically, because in the edges of the National Park there are small fisherman villages offering even home stays for real adventures. The most common way to visit the national park is to make one or two day trips to different lagoons, but there are also longer hikes up to three days through the National Park area. Thanks to the heavy, but warm (during the day time) wind you will not feel the heat of the sand and when sun starts burning too much the best option is enjoy a refreshing bath in one of the many lagoons. An another interesting way to see the Lencois Maranhenses is a sightseeing flight over this immense area. This is basically the only way to understand why this large area of dunes and lagoons is called Lencois (=bed sheets). Once you are done with Lencois Maranhenses, we recommend you to continue in direction of Caburé, a tiny piece of sand located in between of Rio Preguicas and the Atlantic Ocean. There are two options, either you take a day trip to Caburé or turn your day trip into transfer in case you decide to overnight in this heavenly paradise. 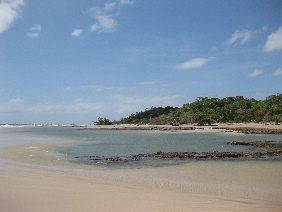 Leaving from Barreirinhas, Caburé can be reached only by boat, via the river of Preguicas. The tour stops in Vassouras, so called small Lencois with yellow dunes and in the village of Mandacaru, where you have a chance to climb in a beacon and enjoy beautiful views over the area. Once you reach Caburé you wish you would have decided to stay over night. Here you will tear away from the everyday life, forget the hustle and bustle of the cities and feel the magical peace of the surrounding nature. There is no electricy in Caburé and during the day time the few resturants work with generator. Yes, if you decided to stay over night the lack of electricity means that there is not hot shower nor air conditioning. But don’t worry, if you have came this far you probably can stand one day with cold shower and thanks to the heavy winds during the night time you will not even feel the lack of air conditioning. In Caburé you can take a bath either in the Preguicas River or in the waves of Atlantic Ocean. Enjoy being far away from your daily routines and once the generator turns off (normally at 22 pm) don’t forget to look up on the sky of thounsands of stars. After having experienced Caburé you have few choices, either retun back to São Luis via Barreirinhas, head towards Atins, an another small village with entrance to the National Park area or keep on travelling to south in direction of Parnaiba (in state of Piauí) and Jericoacoara (in state of Ceará). The main attractions of these areas will shortly be covered in another blog posts. Last but definetely least, when visiting Lencois Maranhenses, there are entrancies where motorized tours are offered for tourists. Even if driving over the dunes may sound like an attractive idea, we kindly ask you not to be tempted, because in the long run such activities will destroy this fragile nature. Our suggested itineraries with Lencois Maranhenses. Pousada Porto do Buriti – Barreirinhas. Just a short walk from the center of Barreirinhas Pousada Porto do Buriti offers an excellent value for money close to the dining options of the village. 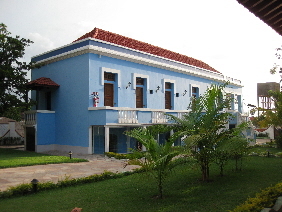 Pousada Porto Buriti – Caburé. The bungalows are simple and as there is no electricity the amenities are limited as well. However staying over night in Caburé is an extraordinary experience for those who want to escape from city life and feel the simplicity of the surrounding nature. Trekking – For real adventures with certain physical preparation we recommend unforgettable hikes through the National Park. The journey takes several days depending on the itinery and passes through small fisherman villages, where you will stay overnight in hammocks. Brazil has it All: World Cup 2014, Olympic Games 2016 and Carnival every single year! Rio de Janeiro, Part I: Where to stay and not to stay. Have a doubt? Ask Brazil Diversity! Vote for your favourite Diversity!